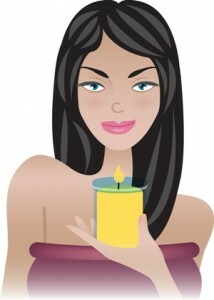 Searching for candle reviews on big name candle companies such as Yankee, Bath & Body Works, WoodWick Candles etc? Below you will find reviews on just about every big candle brand out there… and if you don’t see the company you’re searching for, check out our main candle review page where we have reviewed HUNDREDS of candle companies categorized by each Candlefind reviewer. When you click on a company link below, it will take you to their main page we’ve created where we’ll list all the reviews we’ve written on that specific company there.Happy candle Hunting!! Goose Creek Candles are all poured in the U.S. with the highest quality ingredients available. Each jar candle is designed to quickly fill the entire room with fragrance. For more than 100 years, Colonial Candle has been burning brightly in the homes of America and can now be found across the country in a variety of retail and online stores. A leader in the candle industry with gorgeous candles and signature fragrances. This page is where you will find all the reviews we've posted on Colonial Candles. ScentSational's melts can be found at Walmart stores across the country as well as a huge variety of other retail grocery and gift stores. Harry & David are very well known all over the world for their delicious pears and gourmet gift baskets. And now the Harry & David brand have added scented candles to their extensive line of fine gourmet products. Searching for super scented soy candles? We LOVE Pure Integrity candles and rate them #1 for best soy candles! This page lists all the reviews we've written on these awesome candles! Searching for candle reviews for Village Candles? We have a nice amount on quite a few styles and fragrances with many more to come... Check them out! White Barn Candles are a favorite brand around here. This page houses all our official reviews we've written on White Barn Candle Co.